Modular SwagelokÂ® SSV series delivers representative sample from multiple sample streams to one analyzer. This ANSI/ISA 76.00.02-compatible stream selector system controls each stream by double-block and bleed (DBB) module, which eliminates cross contamination and maintains sample integrity. DBB module also performs actuation functions. 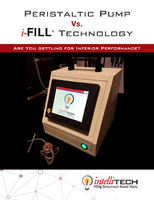 To provide consistent outlet flow, system features integrated flow loop that also streamlines sampling and purging. SOLON, Ohio (November 28, 2005) The latest addition to Swagelok Company's broad product line is the new Swagelok® SSV series stream selector system, which delivers a representative sample from multiple sample streams to a single analyzer. These modular assemblies are ANSI/ISA 76.00.02 compatible and accommodate multiple process streams in a limited amount of space. Each stream is controlled by a double-block and bleed (DBB) module to eliminate cross contamination and maintain sample integrity. 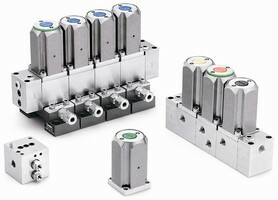 Based upon a modular technology concept, these valves house double-block, bleed, and actuation functions within a single, compact module to reduce total space needed to perform sample stream selection and overall installation time. As system requirements change, modules can be added or removed. The SSV series stream selector system features an integrated flow loop to streamline sampling and purging and provide consistent outlet flow. Regardless of which stream is selected, the flow rates of all streams remain consistent. 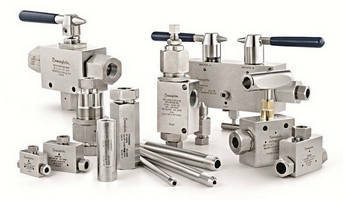 · Built-in pneumatic actuator to provide repetitive shutoff with fewer potential leak points than conventional systems. Headquartered in Solon, Ohio, U.S.A., Swagelok Company is a major developer and manufacturer of fluid system component technologies for the research, instrumentation, pharmaceutical, oil and gas, power, petrochemical, alternative fuels, and semiconductor industries. Its manufacturing, research, technical support, and distribution facilities support a global network of more than 200 authorized sales and service centers in 54 countries. 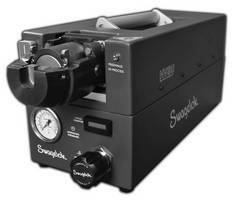 For more information about Swagelok, visit the company's Web site at www.swagelok.com. 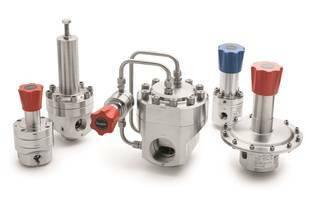 Process Interface Valves help reduce fugitive emissions. High-Volume Swaging System improves assembly/installation time. Valves, Tubing, and Connectors suit surface, subsea applications. Jacketed Tube Connector eliminates sleeves and sealing tape. 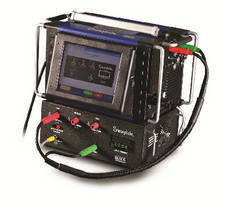 Portable Calibration Unit maintains power supplies on-site.